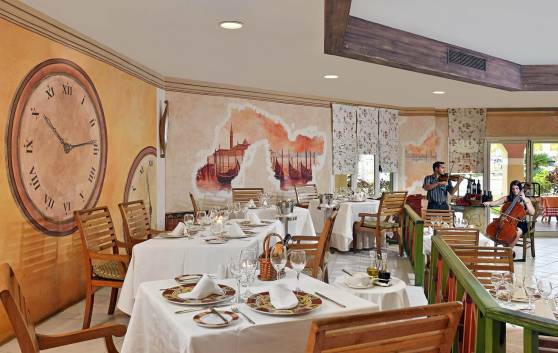 This restaurant specializes in Mediterranean food served in a cozy atmosphere, always trying to satisfy even the most discerning clients. 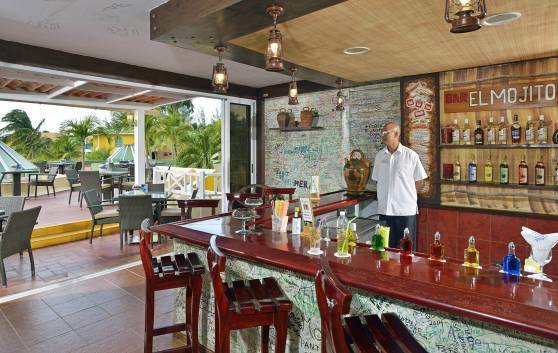 Guests will be able to quench their thirst and enjoy a delicious snack at this rustic beachside restaurant renowned for its quick and professional service. For those who prefer the delicacies of haute cuisine! A special treat for the senses! 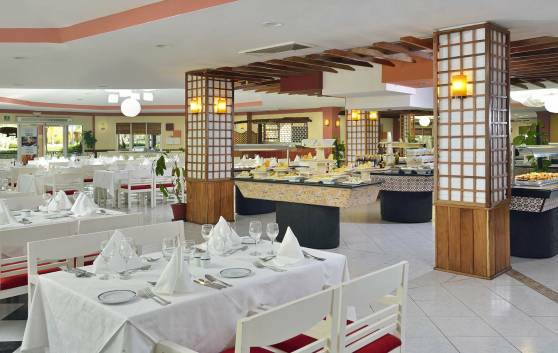 This cozy buffet restaurant is marvelously in tune with its tropical setting. 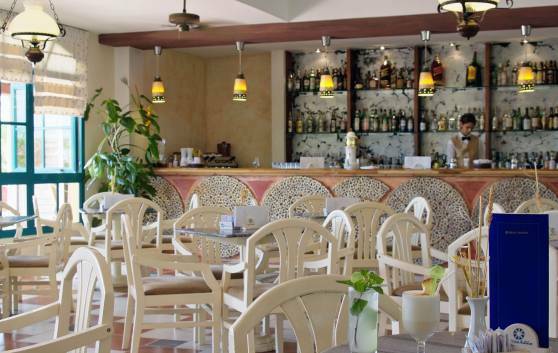 The delightful ambience of the lobby will favor conversation among friends, where guests can enjoy their favorite tropical cocktail from a wide assortment beverages and lacquers. 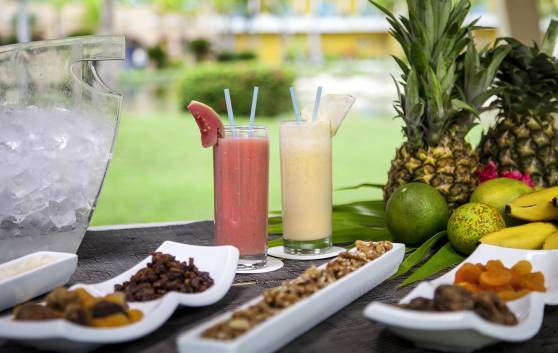 Our Health Bar, between the main pool and the buffet restaurant, next to the bridge over the lake, offers you healthy cocktails made with fruit, vegetables, water, yogurt, milk and toppings such as oats or chocolate. 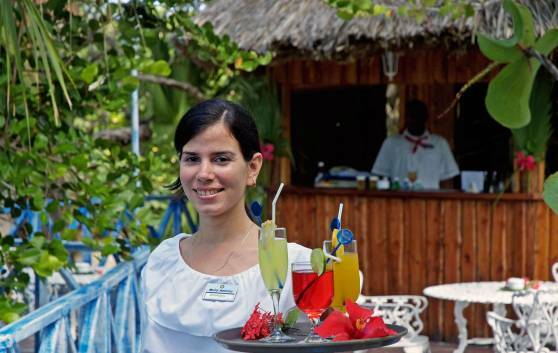 The bar is located in an idyllic surrounding of white sand beaches and lush tropical gardens, where guests can savor delicious tropical cocktails, beverages and liqueurs. 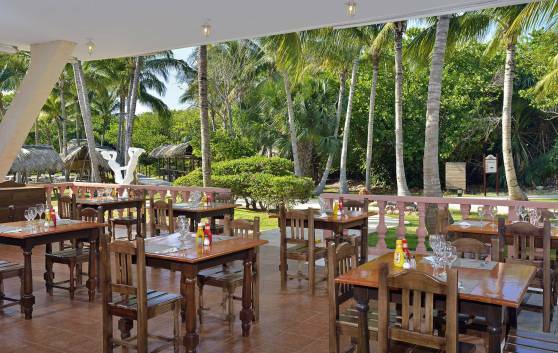 Undoubtedly, the ideal spot for socializing or simply or daydreaming. 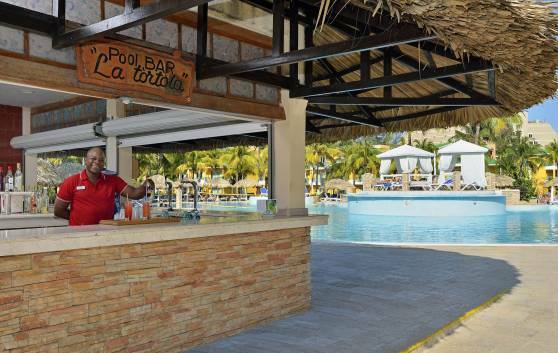 The bar is ideal for those who prefer to swim in a fresh- water pool near the sea or simply rest under the shade of a coconut palm tree. Delicious Cuban and international cocktails. 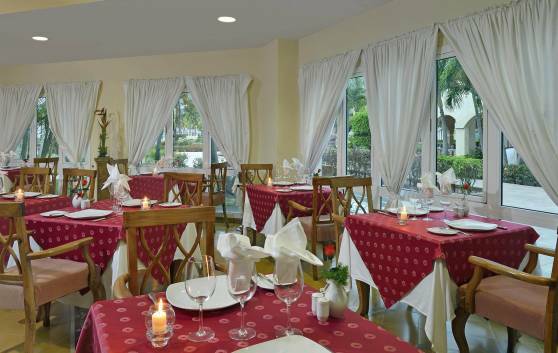 Beautiful melodies will add an intimate touch to your romantic dinner, supplemented with a wide array of cocktails and beverages.